This is an excerpt from “A Tournament Like No Other”, written by Teddy Cahill of Baseball America. Used by permission of Baseball America. All rights reserved. The tournament this October celebrated its 20th anniversary. In that time, it has grown into the biggest annual fall event in amateur baseball and a must-see for scouts and college recruiters. The tournament has all but shed its official name and has become synonymous with Jupiter, the city that has hosted the tournament from its inception. In Jupiter, the games start at 8 a.m. and often don’t end until 10 p.m. 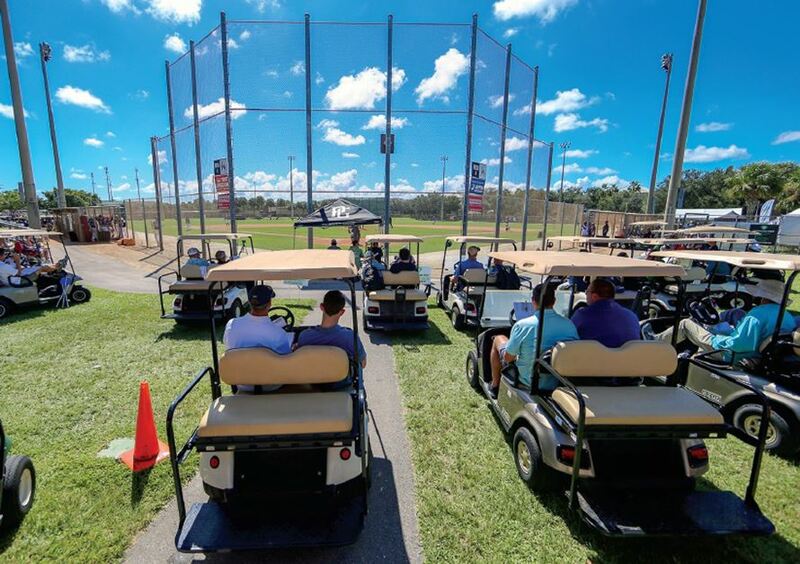 There is so much baseball and so many highly regarded prospects to see that the scouts and college coaches need golf carts to keep up with the schedule. They race from one field at the spring training complex to the next, from the Marlins side all the way to the Cardinals side, a third of a mile away, attempting to get as many looks as they can at as many players as they can. For the biggest games, when a likely first-round pick takes the mound under the lights, the carts stack up three or four deep behind home plate and line up along the foul lines all the way to the fence. To read the full article, visit Baseball America online.